Green spot algae is a common type algae that you may see in your freshwater home aquarium. A small amount of this type of green algae is normal and expected in any aquarium, but an overgrowth can be treated and prevented. Spot algae is seen as circular, thin, bright green spots that adhere strongly to the surface of the glass and other hard surfaces. Typical causes are excess light and excess nutrients. 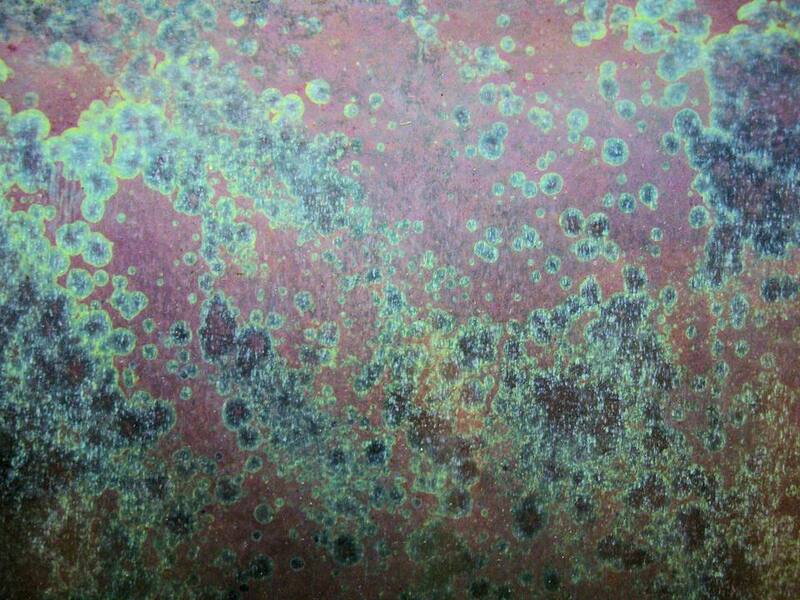 If your tank is experiencing green spot algae on plants, likely its due to low phosphates. If it is on the glass but not on the plants, then just clean the glass, you are doing fine. Regular tank cleaning and water changes are the best preventative measures. Prompt attention to sudden algae overgrowth growth will prevent more serious problems. The cure for spot algae is to scrub or scrape off surfaces. Spot algae can only be mechanically removed. On glass tanks, scraping with a razor blade is very effective. Sharp objects should not be used in acrylic aquariums. Instead, use a plastic razor, cloth pad, or a very gentle scouring pad. Tank treatment: Increase phosphate dosing slightly in your EI fertilizer regime. Spot treatment: Turn off the filter; use one of these three options, wait 5 minutes, and turn on the filter. If you have phosphate mixed in a solution, you can turn off your filter and dose your phosphates directly on the area that’s affected. If you have dry KH2PO4, mix your estimative index (EI) dose with tank water just enough to make it dissolve. then pipette/syringe it onto the affected area. If you do not have a phosphate solution, your alternative is a Fleet Enema. Use 0.3 milliliters of enema per 10 gallons. Do this daily until it's gone since you have no fertilizer regime. Do 50% water changes every third day to help keep the phosphates from getting out of control during this treatment. For options 1 and 2, if it keeps coming back to the treated area quickly, then you need to increase the phosphates in your dosing regimen, unless you are fine with spot treating the area every dose. For option 3, you run a risk of bottoming out on nitrates during the treatment due to your lack of regular macro dosing. A high fish load counters this effect. If you have Java ferns, this can cause them to blacken at the tips and melt a bit if the nitrates keep bottoming out. The estimative index is a straightforward method for providing nutrients for a planted tank. The idea behind EI is simply introducing a slight excess of nutrients within an aquarium throughout the week and doing a good-sized water change (such as 50%) at the end of the week. This floods the water column and feeds the plants. Measuring specific nutrient uptake rates is not necessary. You maintain a range of nutrients without ever using a test kit. Fish aquarists do this same approach with discus and other fish they want to feed heavily to increase growth rates/breeding. The 50% water change generally takes about the same amount of time as a 25% water change once you haul out the hoses. The time and work difference are fairly small. EI helps to prevent plant nutrient deficiencies and allows unhindered plant growth. Most algae-related issues are due to plant deficiencies rather than excess nutrient levels (ammonium/NH4+ is a potential exception). Other issues for algae are too much light and, most often, poor CO2 measurement and dosing.